Why Your Online Dropshipping E-store Needs A Blog? Why a dropshipping online store need a blog ? Just like others online business , the way to promote a dropshippping estore is pretty much the same .Not matter how big or how small is your online store , blog/website is a must to increase awareness and brand identity . Think Nike and adidas , look at their web site ! So informative . Blogging is one of the ways to communicate and provide useful insights for your customers. It is one of a marketing channels to maintain online presence and it is essential in helping a business to grow. 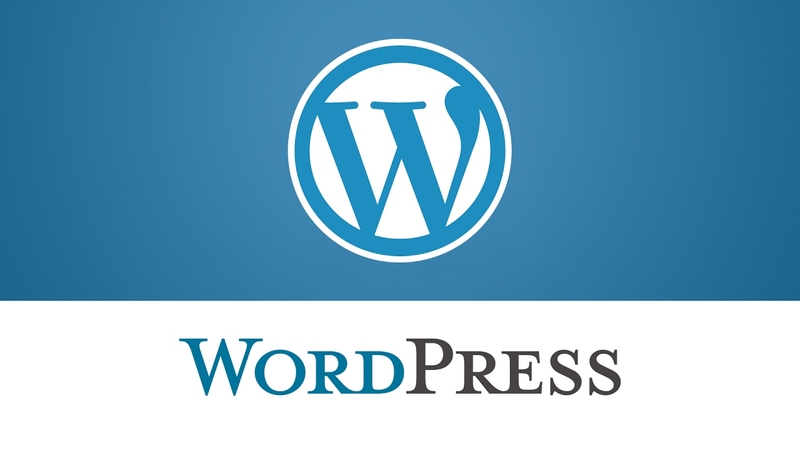 WordPress is one of the best and FREE blogging platform . It is easy and user friendly . No coding knowledge needed at all ! Sign Up now . Why you need a blog for your business a business blog brings several benefits to your eCommerce. Now, let me explain it to you. Blog can provide useful products information to your customers . For example, if you are selling korean facial products, its better that you can educate your potential customers about the benefits, guides or ways to use your products in a more detailed form. One of the cheapest way to gain organic search is through blogging. Fresh content is still the best way to outru your competitors in any search engine website. Of course, your online store’s ranking might not be able to rank as high as your competitors anytime soon but still it will significantly improve over time. Sometime blogging also know as content marketing. Below are some of the statistic and research on the important of blogging in marketing your online dropshipping e store. Between lead generation, brand awareness, SEO, and thought leadership — there are few areas of marketing that don’t benefit from blogging. Make your blog stand out. Use headers, videos, and other visual tools to make the most important pieces of your article get noticed and remembered. Listicles still have their appeal, but not necessarily as much as you’d guess. The value of your blog doesn’t stop when you hit publish. It can also be used to drive traffic and engagement on social media. If you’re a B2B marketer, it’s likely your competition is using blog content on social media. The competition in search engines is getting higher every year! An important factor of SEO is having a lot of content for search engines to crawl and index. This helps search engines more easily recognize that your website is a resource with tons of information for people to consume. Blogging is essential to B2B business marketing success because there tends to be more emphasis on lead generation than B2C companies. Your blog should include content for all stages of the funnel. While top-of-the-funnel content is likely to draw in new people, more middle-of-the-funnel content will start laying the foundation of working with your organization or considering your product. Including an image or visual with blog posts used to be merely a recommendation. In 2016, it’s mandatory and the numbers prove why. This statistic illustrates the importance of creating blog content that is actually useful. If your blog content isn’t helpful, don’t be surprised if it doesn’t get shared. The traditional methods of lead generation are simply not as time or cost-effective as blogging for B2B marketers. Blogging continues to get more competitive and Google favors in-depth content that provides a ton of value over short blog posts that used to be the norm. Visual content is more engaging than text alone and as people consume more content from mobile devices, the value of visual assets only goes up. Incorporating these into your blog articles and content strategy show that you are in touch with your audience while ignoring it will be detrimental to your success. Success with content marketing rarely happens by accident. You have to make blogging a priority if you want to achieve the best results. At the heart of blogging is the goal of getting found by search engines. High-quality blog articles that are keyword focused and optimized for search engines can help you get found by more qualified individuals who are ready to close. Every time an authoritative website links to a blog post (or any page) your entire website reaps the SEO benefits. Attracting links is much easier with high-quality, engaging blog content. The buyer journey should feel like a natural progression for your leads, but creating that experience requires purposeful planning and mapping of your blog and premium content. Paid search can certainly be rewarding, but the most valuable locations in search results have to be earned through blogging and SEO, not bought. If there are people in the world who are interested in your products or services, there will never be a shortage of those people on Google. To leave the best impression on those people, your website and blog need to be mobile-friendly. In the early days of inbound marketing, blogs weren’t taken very seriously. However, in 2016, they are viewed as one of the most valuable and credible sources of information. Make sure yours lives up to the hype! Daily blogging isn’t ideal or practical for all businesses, but you should be publishing content weekly to maximize your lead generation potential. Publishing more frequently may not only boost your traffic but act as a differentiator. You want your brand’s website to be the central hub for all of your inbound marketing efforts, but guest blogging is still a powerful tool for lead generation and SEO. Taking advantage of it is a great way to give yourself a step up on the competition. Although it’s not a necessity to be successful with inbound, paid promotions amplify the power of your blog posts by getting more eyes on your content in a short amount of time. In other words, don’t neglect your older content! If you’re anything like us or HubSpot, a large amount of your traffic is coming from content that wasn’t created in the past 6 months. To keep this content ranking and driving traffic and/or leads, optimize it. Communication in any team is key, especially for content marketing teams that want to remain flexible and adapt to changes in their business on the fly. If you’re not meeting with your team regularly, now’s the time to get started. Tags: Why Your Online Dropshipping E-store Needs A Blog? Previous Why You Need A Blog Post for You Lazada Store to Drive Sales . Next What Is Lazada Company ?